“Every human being who loves freedom owes to the Red Army more than he will be able to pay in a lifetime!” (E. Hemingway). We honor May 9th, recorded in the History as the day that the 2nd World War ended and as the day of the Great Anti-fascist Victory of the Peoples’, at the expense of all those that try to falsify history, so that the peoples and the younger generations in particular forget the Anti-fascist Victory and the historical teachings that are drawn from it. We honor all those that struggled, that sacrificed themselves, all those that acted in every way against the Nazi - fascist imperialist “Axis” of Germany – Italy – Japan and their allies. We honor the activity of the Communist Parties that led the national-liberation and anti-fascist movements. 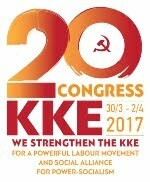 We are proud of our Party, the KKE, and of its 100 years of life and activity. 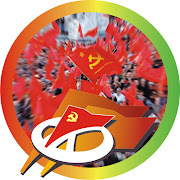 The KKE was the soul, the life-blood and guide of the the heroic struggle of our people, of EAM (National Liberation Front), ELAS (Greek People’s Liberation Army), of EPON (Unified National Youth Organization) and of the rest of the Organizations that took part in EAM, giving its best sons and daughters to the struggle for the liberation from the Nazi conquerors, for a better life. The WWII, like the WWI, was a result of the great accentuation of the contradictions and competitions between capitalist states for the sharing of the world. 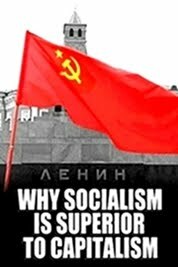 The existence of the USSR (Union of Soviet Socialist Republics) was as decisive factor that accentuated even more the inter-imperialist contradictions. 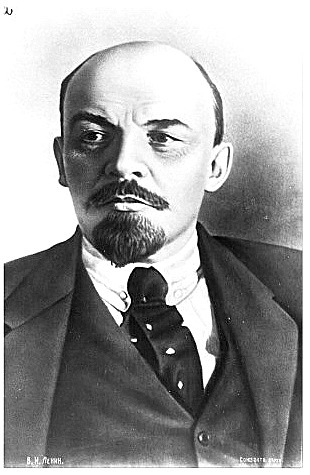 Common goal of all capitalist states, fascist or not, was to crush the first workers’ state in the world, the USSR. Today, 73 years after the end of WWII, imperialist competitions are again acentuating all around the world, in our region in particular, focusing on the wealth-producing resources and the routes for energy transportation. The tens of local and regional wars, at the expense of the peoples that have mourned thousands victims, refugees and immigrants are the proof. It is confirmed that when the contradictions of the monopolies for the control of the markets and its profitability cannot be resolved with “trade wars”, anti-people measures, with fragile compromises in the framework of an imperialist “peace”, they are resolved with imperialist war. The peoples’ must be vigilant, must reinforce their solidarity, their common struggle, while the dangers of a more generalized war occurring are increasing, a war that will also involve Greece. 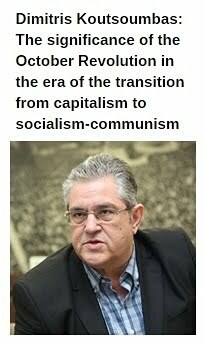 The SYRIZA-ANEL government has grave responsibilities because it is dragging the country even deeper in this massacre, in favor of the interests of the big national capital, following the politics of the previous anti-people governments of ND (new-liberals) and PASOK (social-democrats). This government has transformed our country in a bridgehead for NATO, has proceeded to the upgrade and expansion of NATO and US military bases in Greece, takes part in the struggle of sharing the “loot”. 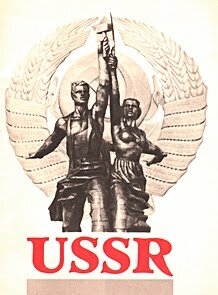 The contribution of the Soviet Union in the Anti-fascist Victory and to the crushing of Nazism – fascism was transcendental, having more thatn 20 million of casualties, while the countries that were on the winning side of WWI gave substantial help to Nazi Germany, aiming to use it as a battering ram against the Soviet Union. The victorious battles of the Red Army demonstrated the superiority of the socialist system, of the worker’s power, the advantages of the socialization of the means of production and of the central planning of economy. Due to these advantages the Soviet Union was able to transform into an important economical power and create a battle-ready people’s army. 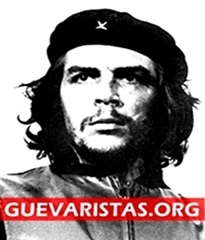 This is the History, written in the blood of the peoples, that they are trying to “rewrite”, particularly after the victory of the counter-revolution in the former socialist countries. The European Union leads the forging of History: it has established the 9th of May as “Day of Europe” and simultaneously promotes anti-communism, the identification of communism with fascism. 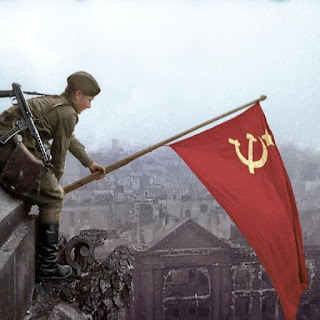 The Communist Parties and the communist symbols have been prohibited in a series of countries, militants are persecuted while the Nazis, the forces of the SS are being restored. In this game of forgery, the government of SYRIZA-ANEL takes part, as they identify on purpose and with no respect of history the anniversary of the Anti-fascist Victory with the “Day of the EU”. It is trying to convince the people that not only the imperialist alliance of the EU is the only way, but also that it can be improved with negotiations and return to its so-called “good original roots”. 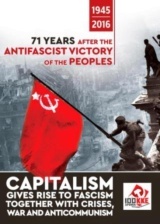 The History of the Anti-fascist Victory of the Peoples, of the WWII altogether, demonstrates in an absolute and undistorted way that Nazism-fascism is born and bread by the capitalist system. The fascist – Nazist parties came into power with the support of the monopolies. It is confirmed that only the working-class’ and people’s movement, a strong Social Alliance, that aims to workers’ power can deal with and uproot fascism, isolate the Nazi Golden Dawn and its criminal activity in the workplaces and in the neighborhoods. 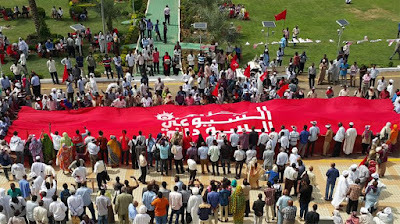 It has demonstrated that the struggle for sovereignty, against foreign invasion and occupation is integrally linked with the struggle for development in favor of the people, with workers’ power, so that the causes that give birth to wars are abolished. The Great Anti-fascist Victory inspires the peoples and teaches them to have faith in their power. This is the power they can and have to try today in order for them to be rid of the continuous memorandums, from poverty, unemployment; so that Greece is disentangled from imperialist wars and from NATO and the EU; so that all foreign military bases are removed from our country.